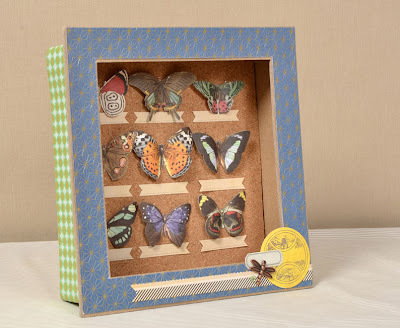 sei lifestyle: Shadow Box Ideas Galore! 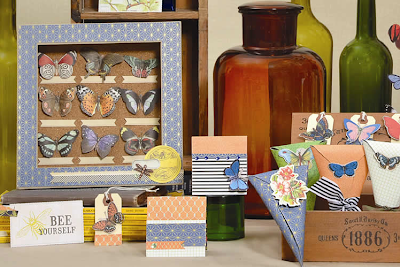 We are so excited about the shadow box that comes in the Club SEI March paper-crafting kit (shown below). 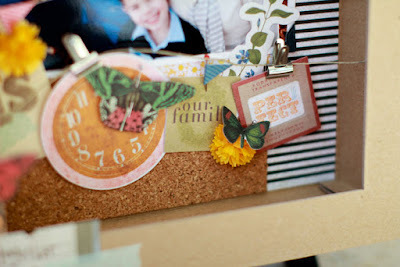 So we thought why not do an entire day on shadow box ideas... TODAY!! We have so many fun ideas to share. 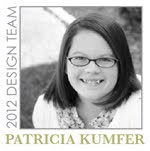 Some of our design team members got in on the fun too. Enjoy! This was created using the contents of the kit, as a alternate idea for club members. If you'd rather not have a butterfly collection, a photo with dimensional flowers also makes a lovely display. 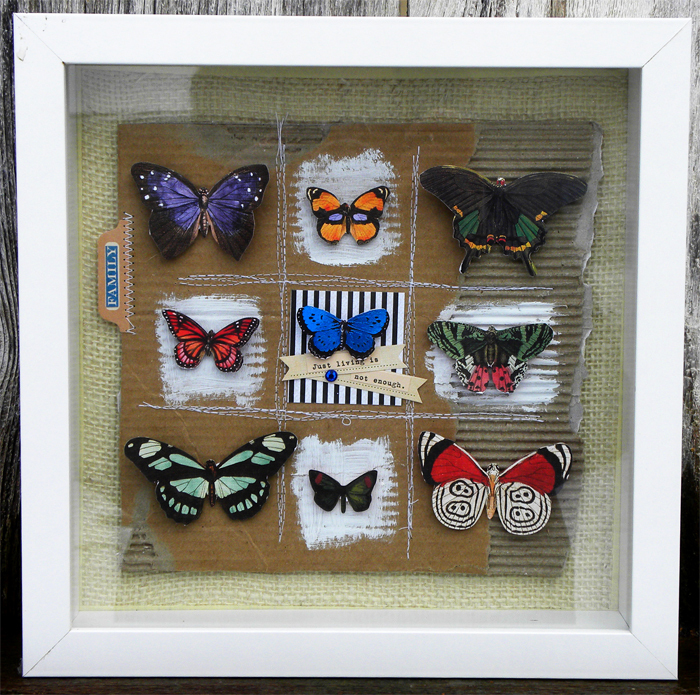 Here's another shadow box made with the Field Notes collection. 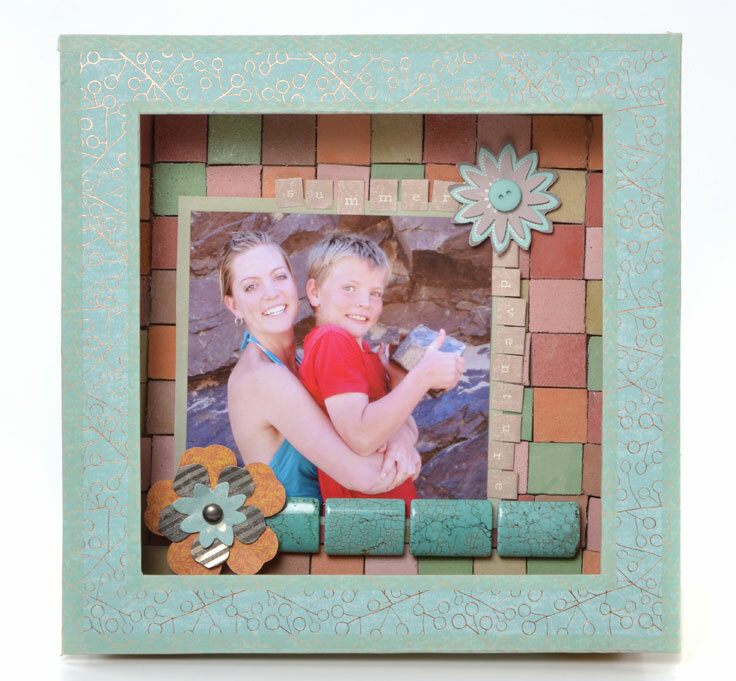 Personalize your shadow box with snippets of paper from a special occasion or 3-dimensional memorabilia, like the shell. 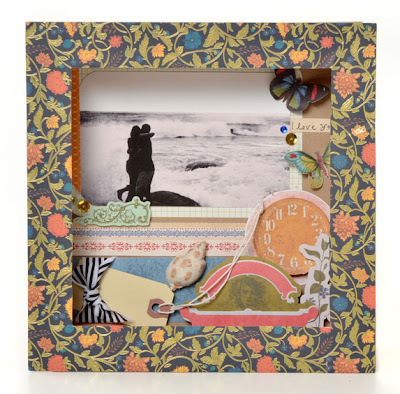 Patty is sharing her shadow box today too (below). The cork she used inside makes it easy to switch photos and other elements out over time. She chose to leave the natural craft base and accent it with pops of bright butterflies, flowers and other sundries. 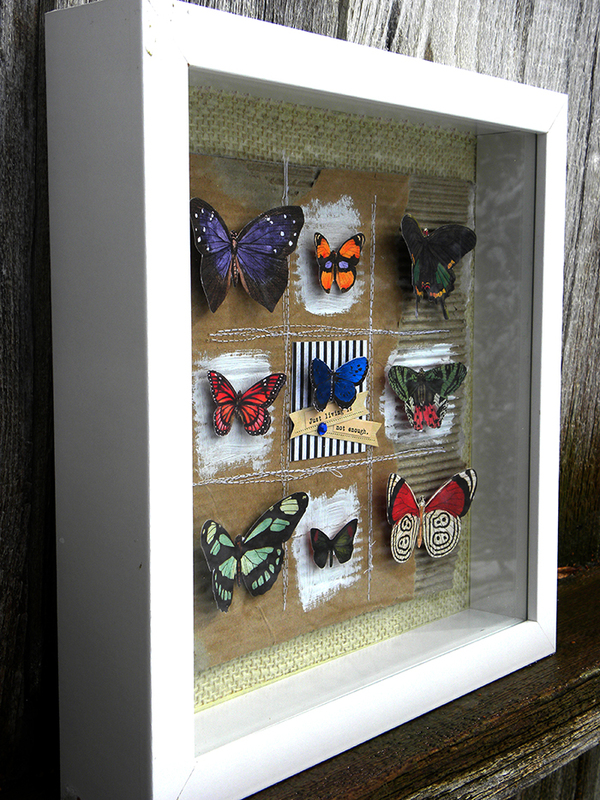 Emily used several different materials on her shadowbox, including velvet paper (for the inside). She said, "This shadow box is so easy to make! It's pre-cut and easy to assemble. 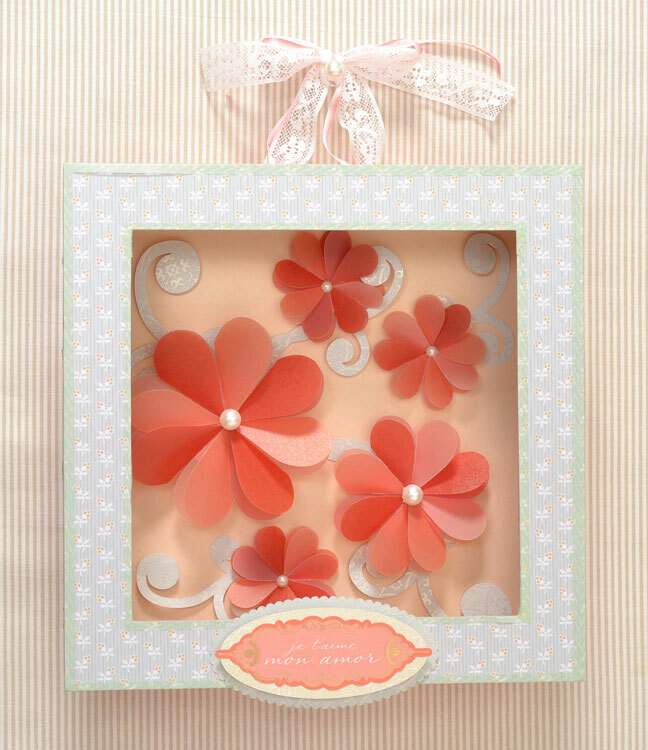 I found it helpful to trim and adhere patterned paper while the box was flat and then assemble." 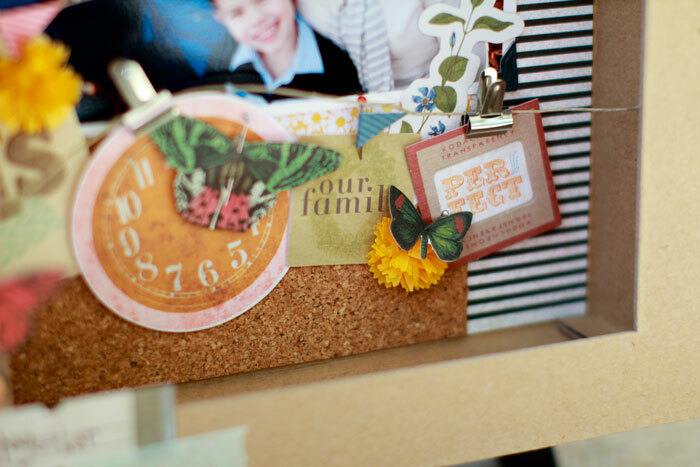 "I added fun twine to hang little sentiment dies from. 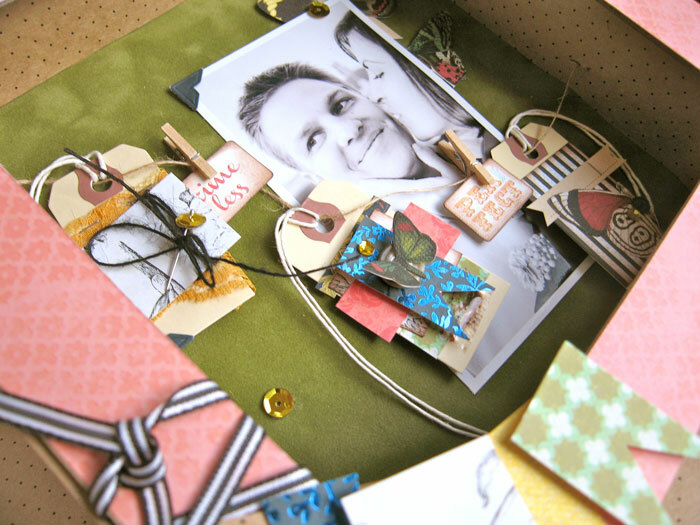 Pierce holes on the sides of the box, thread through, knot and attach sentiment dies to twine with miniature clothespins." We have shown examples of using the shadow box with the Field Notes collection. But, the craft base works for any collection! 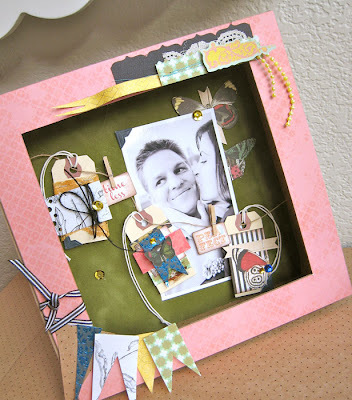 Purchase a shadow box here and use whatever collection you want or clean out your scrap box. We used the Desert Springs collection for this box. The tiled look is achieved by cutting and tiling little squares of paper. For a clean edge, we attached washi tape to the border of our frame. 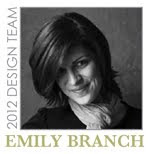 The Promise Me Collection includes printed vellum die-cut into heart shapes. These make this shadow box a snap. Fold the heart shapes in half and arrange them to create a flower shape. Add an adhesive pearl from the sundries pack. Punch holes in the top and thread lace through for a hanging variation. 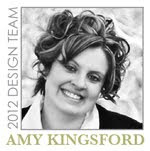 Sign-up to receive the March paper-crafting kit or do what Amy did, up-date a shadow box you already have! Many of the elements she used, you probably have at home... cardboard, paint, burlap, thread. "The design for this shadow box was actually based off of a digital scrapbook layout from a friend of mine--Kayleigh Wiles. I'm always amazed at the things she does with her pages and the way she creates a real life feel with digital elements. 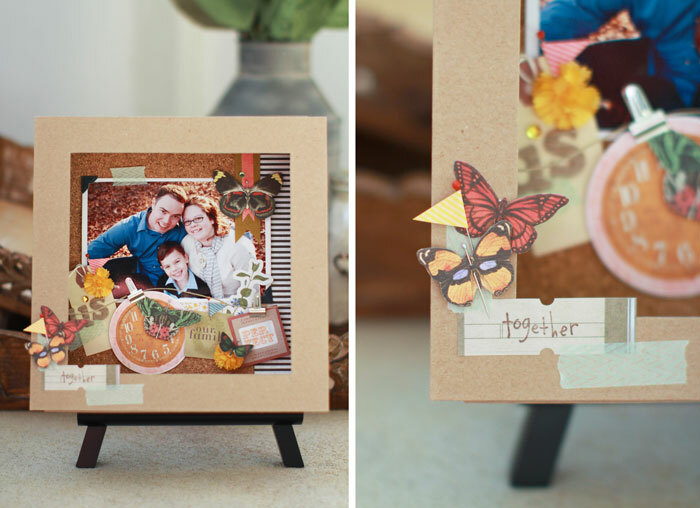 The minute I saw the Field Notes Collection I was immediately reminded of her layout and I aimed to capture the same amazing concept, textures and whimsy in my shadowbox." We hope you enjoyed the shadow box ideas we shared today. What kind of shadow box would you like to create? wow how cool! GREAT examples! What shadow box would I make? Or do one that has my daughters very first doll in it and some other little things she had when she was a tiny baby. Great ideas, Debbie! Love the Alice idea... so creative. I can picture it in my mind. 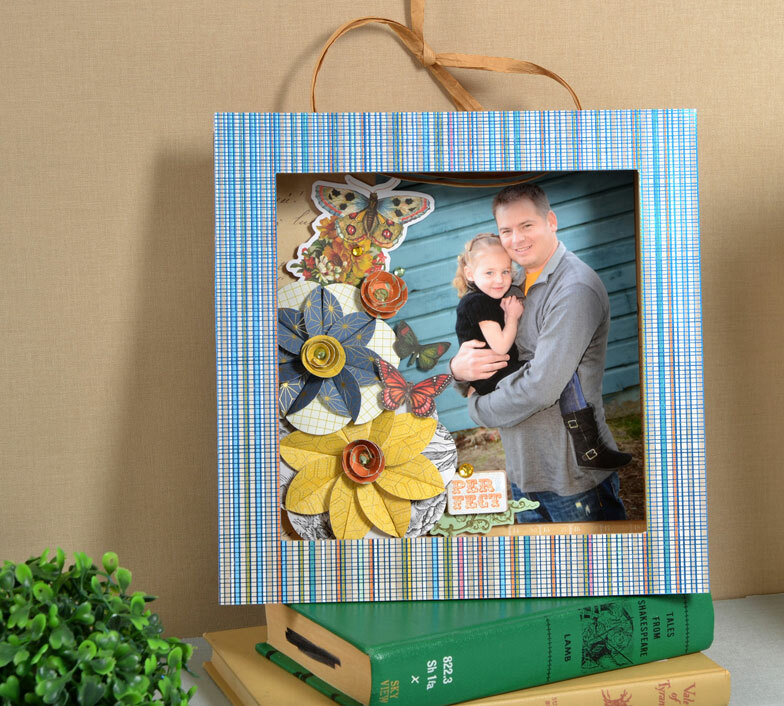 Baby keepsakes are perfect for these too. Why keep them hidden in a box? I'm going to have to get several of these-I love it! Although i scrapbook everyday (and night, and day, and ....) I love doing special things like this. sometimes I feature pics of my Mom (she has left us) or a color combo that I love but doesn't match my home, but adding small pieces like this to your home is amazing! You showcase what you love and it just is a refreshing and inspirational piece of art. It can also make a wonderful gift! I am looking for this article. Great Ideas. Thanks for sharing this.